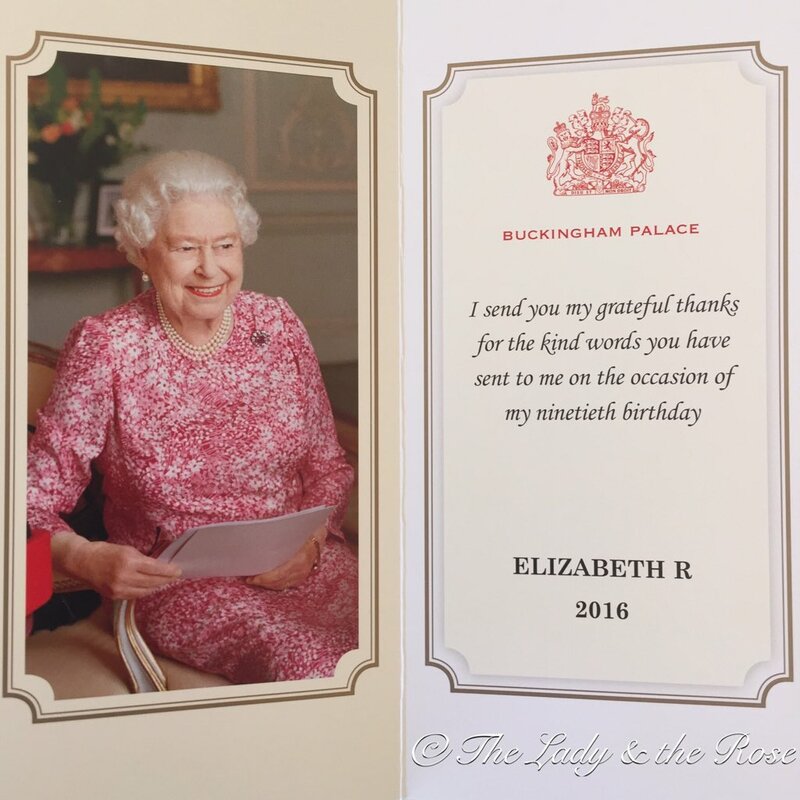 I sent my card to the Queen on April 21st and tonight I got a response. The lighting situation at my office and elsewhere in my house do not give the best photo of this particular response. Because of that I am very lucky and thankful that my friend at The Lady & The Rose allowed me to use her photograph. My response is identical however it also included a small typed paper on Buckingham Palace Stationary saying that the Queen hoped I would understand the length of time it took for the response to be sent. OF COURSE I UNDERSTAND…but I absolutely love the display of Royal Manners. This is most definitely the jewel of my Royal Mail Collection to date. And it was well worth the wait and the weeks of watching for the mailman…even if it drove my family crazy.